It’s pretty accurate to say that most iOS users who make use of a jailbroken device have been paying attention to the progress of a particular multitasking tweak, after it was revealed that a designer’s fantastic concept was being brought to life by a dev team. 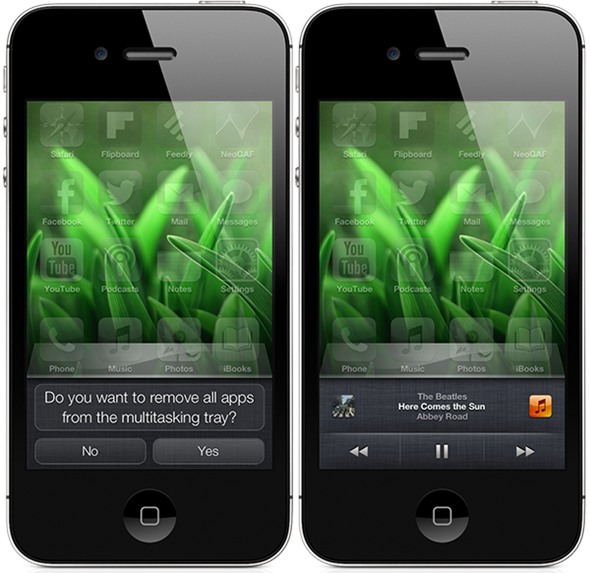 That package has since been given the name Auxo, and is now available as an initial release in Cydia, with the hope of becoming the accepted method of handling multitasking on iOS devices by reinventing the controls that are contained within the switcher as well as the greatly enhancing the aesthetics and presentation. We have seen a number of packages land in Cydia that make an attempt to handle multitasking in the way a particular developer thinks it should be implemented. Auxo however, has been extremely well received since landing in the mobile space as a concept design and it’s pretty fair to say that the developers behind breathing life into the pixels have done a fairly wondrous job, given the relatively short timescales that have passed since it first came into the public eye. The first thing which Auxo brings is a beautiful new way of visualizing apps that are currently being held in the multitasking switcher tray. The old standard app icons are replaced with gorgeous card-based representations of the backgrounded apps, with the app icon thrown in for good measure. Rather than pressing and hold on each icon to delete from the tray, the user now has the option of invoking a simple downward swipe gesture to remove that app from memory and take it out of the equation. The much-loved playback page has also been redesigned to provide improved audio controls and handling of music on the device, but to also provide additional information to the user that includes the ability to tap on the currently playing album artwork to get a full-sized version of the image. Various system toggles have also been included in the switcher, which could potentially save the user from having to go into the Settings app for most things. Access to Bluetooth, data services, orientation lock and Wi-Fi are all easily accessible. Although Auxo is arguably the best switcher replacement that we have seen to date, it does come with its issues and trade-offs. Supported devices are restricted to those on sixth-gen iOS at the moment, which won’t be a great deal considering the current jailbreak solution is only available for A4 based or below devices on a tethered basis. 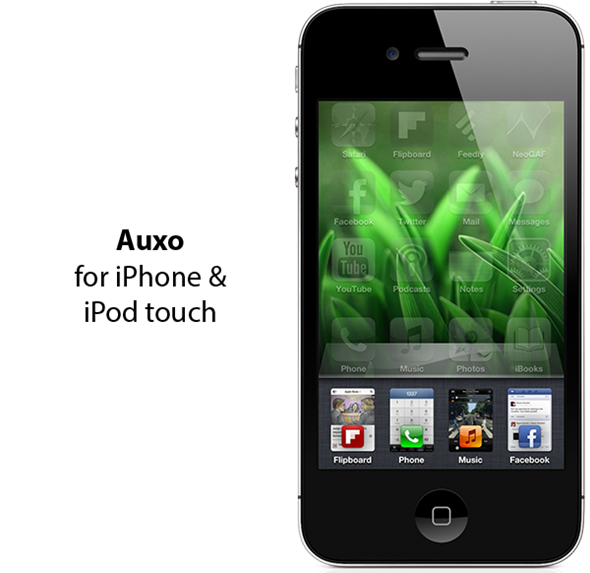 Auxo is available as a $1.99 download from the BigBoss repository and requires a jailbroken iPhone or iPod touch.